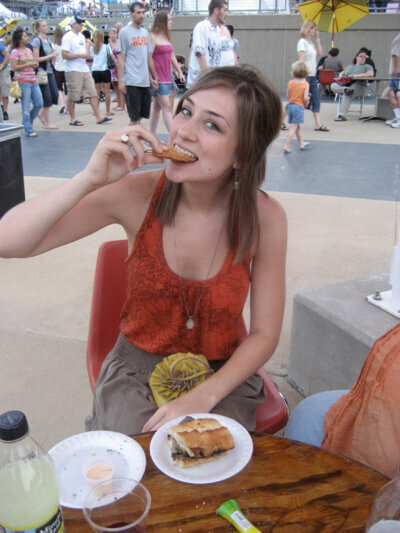 Every summer, Omaha brings its finest foods out for some air, giving residents and visitors the chance to sample new flavors and old favorites at outdoor foodie events throughout the city. One of the longest-lived such events is Taste of Omaha (June 1-3). Celebrating its 15th year, the annual food festival enables local restaurants to strut their stuff in the beautiful setting of the Lewis and Clark Landing on the river. If it takes more than food to whet your appetite for a good time, check out the new fire-spinning demos taking place in the Around the World Pavilion or visit the festival on Saturday for ethnic music ranging from Serbian to Irish to mariachi. A similar event, O Fest, takes place at the Shops of Legacy (168th and Center) from July 15 to 17, complete with beer and wine gardens. Food and alcohol play well together, but the Nebraska Balloon and Wine Festival is adding a new ingredient to the mix: hot-air balloons. Between August 10 and 11, $7 will get you onto Coventry Campus (204th and Q) to admire the balloon launch in the afternoon and balloon glow in the evening. Various pricing levels allow you to experience different events at the festival, even a half-hour balloon ride for $200. Arrange the more costly tickets by calling the Show Office ahead of time at 346.8003. While kids will no doubt love the three-story balloons, the Henry Doorly Zoo brings them down to earth with Moo at the Zoo. An agricultural-themed event from June 30 to July 1, Moo at the Zoo offers the opportunity to meet and greet dairy cows, as well as join in some watermelon and pie-eating contests. Serious foodies do enjoy a little healthy competition, so look no further than the Nebraska State Chili Cook-off at Miller’s Landing in Freedom Park. Grab a $5 tasting kit and sample salsa at noon, green chili at 12:30 and red chili at 1:30 on both June 3 and 4. All proceeds go to charity, and this year’s recipient will be Cars 4 Heroes. For more information about the Taste of Omaha (June 1-3; free), the O Fest (July 15-17; free), or the Nebraska Balloon and Wine Festival (August 10-11; $7 and up), call the Show Office at 346.8003. For information about Moo at the Zoo (June 30-July 1; zoo admission), call 730.2038. Search the Facebook page of the Nebraska State Chili Cook-off (June 2-3; $5) for more information or call 572.1479.